From 1890 to 1920, the British aristocracy faded in historical importance. 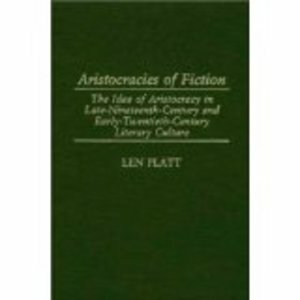 The culture of that period often presented aristocratic characters and typically sought to conserve aristocratic values. The fall of the aristocracy triggered astonishing literary responses. In literary works, aristocrats were transformed into warrior heroes, Scotland Yard detectives, swashbucklers, diseased degenerates, and Gothic monsters. 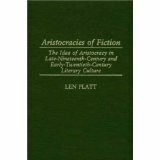 This book explores the centrality of aristocracy to late Victorian and early-20th-century literary culture. Included are discussions of such writers as Marie Corelli, Sir Arthur Conan Doyle, Henry James, George Bernard Shaw, James Joyce, H.G. Wells, and Virginia Woolf. The volume looks at major canonical authors as well as some forgotten figures from popular literary culture. In doing so, it establishes links between different types of literature of this period and challenges some important standard views on such topics as Shaw's socialism and Woolf's commitment to the common reader. A significant new addition to historical approaches to literature, this volume raises central questions about cultural processes and the nature of cultural value.